Q: Is this a Cover Plate? A: No. These are vynil stickers. They adhere to the surface of your New 3DS XL in the same shape the Cover Plates do. They are very thin so you will barely know they are there. A: All items usually ship within 1 to 5 days. They take 3 to 7 business days (Europe) or 7 to 14 business days (US) to reach you. Sometimes it may be more depending on the postage or where you live. A: Yes. I've seen plenty of buyers installing it perfectly. The skins have a fair margin of error so you can re-apply them once. Q: Does it leave any residue? A: No. This is not a typical sticker. These skins are made of vynil and the glue used is different. They usually leave no residues, and if they do they are easily removable with water or isopropyl alcohol. Q: Do you do custom requests? A: I don't do custom requests at the moment. Q: Can I use them on my Classic 3DS or Old 3DS XL? A: No. This model is for the New 3DS XL only. This is one awesome New 3DS and/or New 3DS XL Skin! 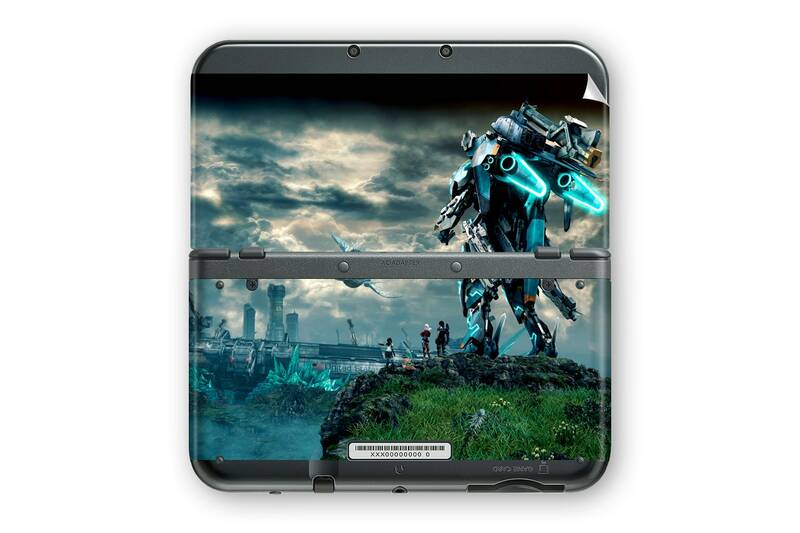 If you are a fan of Wii U's Xenoblade Chronicles X, then this Skin is perfect for you as a New 3DS owner. It fits on perfectly and has the right holes and cutouts to provide the perfect fit on your awesome little device. I placed mine on top of the Majora's Mask Limited Edition 3DS XL, and it meshes perfectly with the Gold theme. I highly recommend this specific Skin and Design for anyone looking to enhance their atmospheric experience when playing with their New 3DS. Try it and you definitely won't regret it!